Savvy Spending: PetSmart: Free Picture, Craft, and more with your PUPPY tomorrow, 1/21! PetSmart: Free Picture, Craft, and more with your PUPPY tomorrow, 1/21! 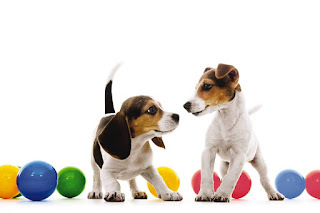 Tomorrow, 1/21, you can visit PetSmart between 12 noon and 2 pm with your puppy (ages 10-16 weeks) for some fun! You can check out the NEW Doggie Day Camp, get a free commemorative craft, digital keepsake and puppy booklet! You may want to call your local PetSmart to verify participation before heading out!